I’m finally back from Costa Rica and I already miss it! Today I’m talking about a location that is pretty far away from Central America. It’s one of my favorites places in the world. Make a guess! Yes it’s TOKYOOO! Specifically, Tokyo Tsukiji Fish Market which is the largest and busiest fish market in the world. A popular thing to do at the Tsukiji Fish Market is to watch the live tuna auctions around 3-4:00am. I personally didn’t do this because waking up at 2:30am to get to a fish market is too much for me, and I’m not a fan of animal slaughter. Unlike most visitors, I actually enjoyed Tsukiji’s outer market more than the inside section. The outskirts are surrounded with small restaurants, bakeries, cute shops with trinkets, gifts, silverware, lucky cats and so much more. In fact, I found the shops here cheaper than most other stores that sell similar gift items. All of the blogs and books I read about Tokyo raved about the sushi at the market, but we opted for Ramen and it was a great choice – the BEST ramen we’ve ever had. A little ramen store run by an old Japanese cook had a long line to order and this meant that the ramen there had to be superb. We even came back on another day during the week for more ramen! Avoid the early morning and afternoon crowds and go around 11am-12pm. Have ramen at one of the tiny ramen restaurants. I’ve tried a couple of them and they were all great! The smaller the restaurant, the better the ramen! Shop till you drop at the gift shops. I recommend doing all your gift shopping here and bargaining to get even cheaper prices! 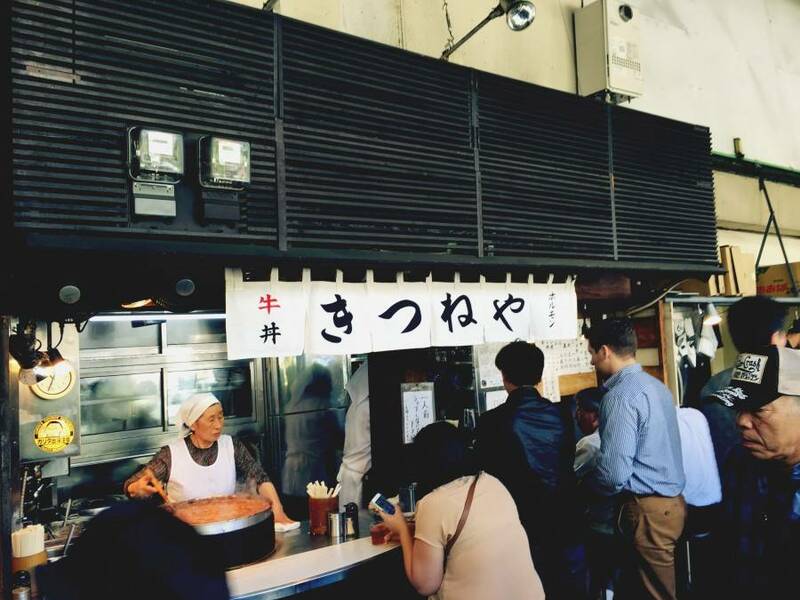 Has anyone been to Tokyo Tsujiki Fish Market? Let me know in the comments below!